As we previously discussed, saving water means saving money! And with the increasing costs of utilities, it only makes sense to consider installing low flow toilets in your Gwinnett county house. Low flow toilets can use as little as 1/3 the amount of water that a normal toilet would use! One of the more popular low flow toilets on the market is the Kohler Cimarron. This toilet features innovative AquaPiston technology, a patented flush engine that delivers a fast, powerful, and virtually plug-free flush. The 1.28-gallon flush provides significant water savings of up to 16,500 gallons per year, compared to a 3.5-gallon toilet, without sacrificing performance. An elongated bowl, positioned at the height of a standard chair, offers comfort and ease of use. Saving water in the home also has an incredibly positive effect on the environment. For decades, clean water was actually being needlessly flushed down the toilet. Considering how much we discuss the need to conserve water, all the water wasted by toilet flushing is environmentally irresponsible. Without efficient water conservation, our natural environment suffers. 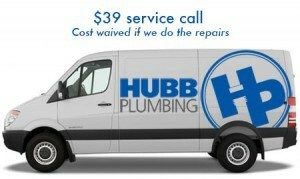 Call Hubb – your qualified plumbing service professional. We’re your best friend when it comes to helping you save water. We’re well equipped to handle new faucets, drains, and low flow toilets. Let us install the latest water saving amenities in your home!